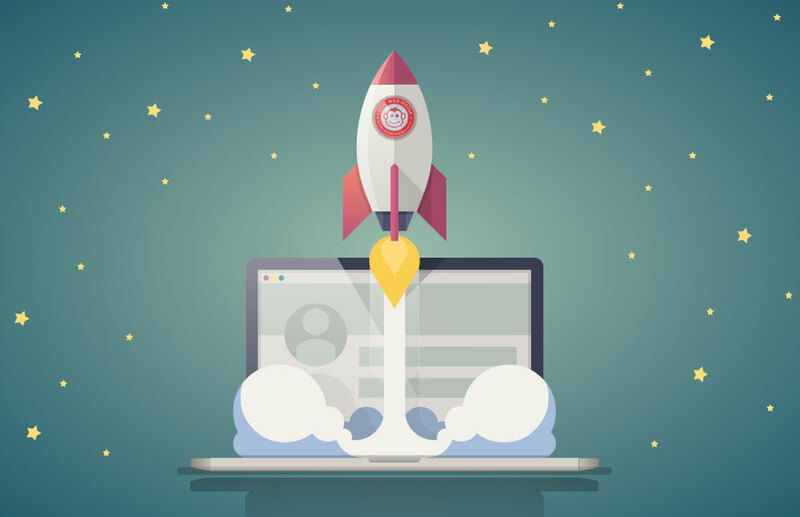 How Your Site's Speed Impacts Your SEO ...and your wallet! Site (or PageSpeed) refers to the amount of time the webpage takes to load completely. There are many different factors that can alter your websites speed. Your site’s loading speed can hurt your SEO on two fronts: how Google rates your site and how users interact with it. In the world of SEO, there are a lot of moving parts. And, those moving parts will regularly update. One of the key Google ranking factors is site speed, or page loading speed. Site speed is how long it takes for your website to load. And this time is measured from when your domain is reached, until every last image, content, or features are loaded. Many people think of search engine optimization as blogging for your website and primarily focusing on keywords. However, there are many other coding and “behind the scenes” factors that will affect your rankings. The first issue of slow site speed is how Google views your website. Back in 2010, Google officially announced that it was counting site speed as a ranking factor. This factor was being pushed for years, given how the algorithm for Google search has been increasingly “user-first.” Given how users respond to slow websites, it was important for Google as a company to take that into account when it comes to rankings. This point brings us to the next problem, which is clearly more important: User experience. Whether on the internet or out in the world, time is money. The time it takes for a visitor to view your product or service can make or break whether or not they choose you. Conversion Rate: You will lose your conversions regularly and steadily when you have a slow site speed. Bounce Rate: When people get to your site and it doesn’t load, they will “bounce” from the page. Not only is this bad for users, but that is also logged in your analytics. Website Trust: Users will not trust a website that is not rendering properly or quickly. If your website images are not loaded on the page, it looks like you are not an up-and-running company. 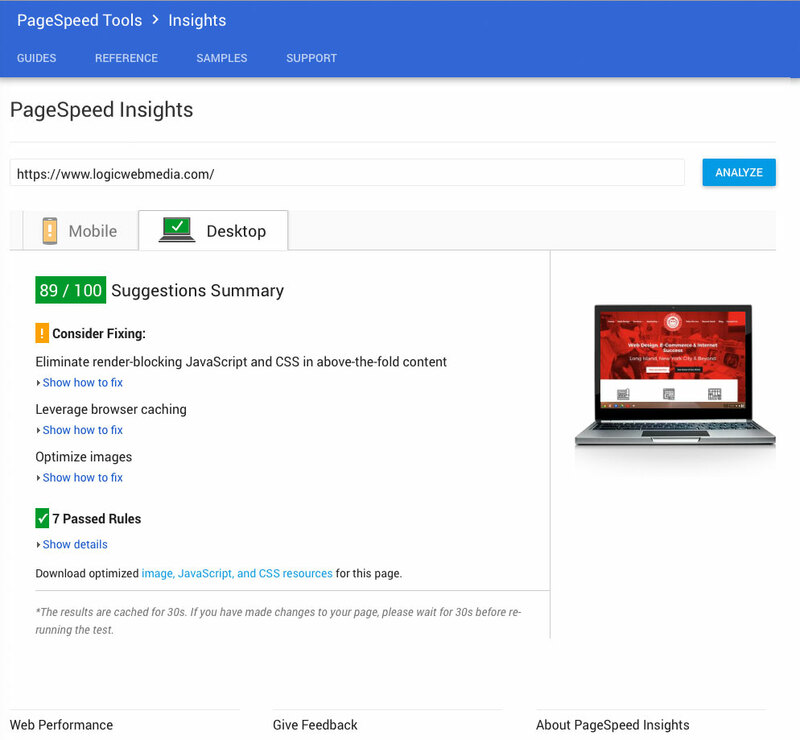 If you are curious how to see what your PageSpeed score is, you can visit the PageSpeed Insights tool from Google. You simply enter your domain name and hit the “analyze” button. It will give you results, like the example image below. If your website is in the yellow, orange, or red, you will want to take immediate action. How Can I Fix My Site’s Speed? There are many factors that affect your site’s loading speed. Given that this is a more advanced area of web development, we recommend utilizing the help of a professional. If you notice that your website is slow, we at Search Engine Optimization Long Island will check the most obvious factors that will slow your website down, and work to improve it. Web Hosting: This is the most obvious place to start. If your hosting server is slow, outdated, or has a ton of other websites on it, then your site will not function well. Moving your website to a secure, speedy, and dedicated server is an easy way to get things moving. Image Size: When the images on your website are excessively large, your website will have a hard time loading. Often times inexperienced web designers and DIY website builders will miss the details that can make or break your page speed. One of those details is usually the image size. Scaling down your images so that the render quickly and clearly is a good technique to help page speed. Too Many Plugins: If you are using a WordPress website (especially templates), then you are likely relying on a ton of plugins in order to make your website work. This may be more difficult to fix than some other factors, because its possible that you or your current web designer does not know which plugins are necessary, and which are just weighing you down. Excess or Outdated Coding: Websites need various coding languages in order to function. Sometimes, those coding languages become outdated or not supported by browsers. If your website is particularly old or out of date, it is possible that your old code is dragging your site speed down. Additionally, excess code that somehow worked its way onto your pages can also slow down the rendering process. File (Gzip) Compression: As stated before, a website needs a lot of code and files in order to operate. Enabling Gzip compression on your website is another advanced technique that can greatly improve your page speed. For small and medium sized businesses that rely on organic search, it is important to pay attention to the basic factors impacting your SEO. You may not recognize your site’s speed as creating that much of a problem for you. However, it is clear that this will affect not only your Google rankings, but also how your visitors respond to your brand. Simply having a website does not ensure that people will find it and use it. With a dedicated team like SEO Long Island, you can bring your website up to speed with current trends and beat out your competition.